Is your school PTA looking for ways to make money? Something beyond the bake sales and the gift wrap sales and the constant pleas for money? Something that helps you to clear out your kids' closets of clothing that they've outgrown? Or maybe you want to buy new (to you) clothing that's still name brand, but heavily discounted? 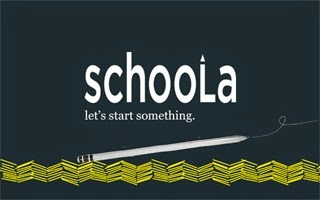 I recently learned about Schoola. While they are sponsoring this post, I found so many things about them to like that I had a hard time figuring out what benefits to stress. 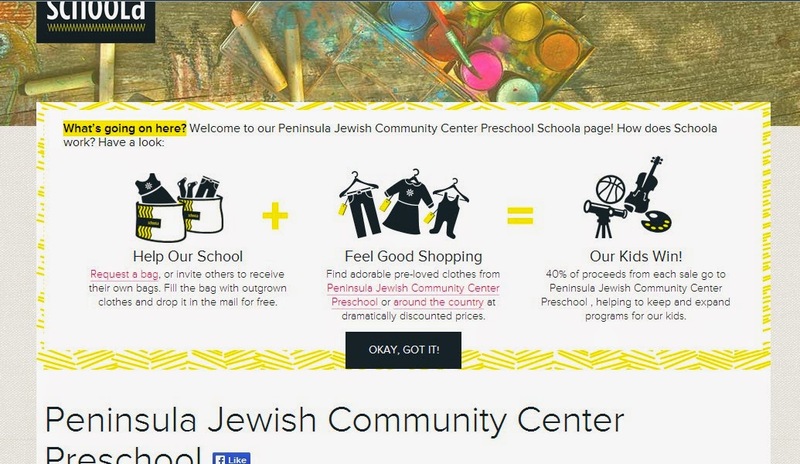 Schoola collects gently used kids' clothes (baby through high school) and resells it for a discount online. They photograph, post and sell the clothes. Your designated school gets 40% of the sales price. And you just mail the clothes in a postage-paid envelope they provide. No collecting the clothes in your car and looking for a Goodwill. When you buy clothes from the site, you'll feel good knowing that 40% of that money is going to help another school. Any clothes they can't used get donated to Goodwill. Look to the bottom for a 20% off code. During Schoola's back-to-school promotion, they paired up with three schools including one in San Francisco (Yick Wo Elementary). Yick Wo is raising money for their art program, which has a soft spot in my heart because I was an Art in Action volunteer in my kids' classrooms for years, giving them the only school art program they had. Art programs are expensive to run, yet so vital to kids' learning. And often are funded solely by the PTA. Watch the short video below for more. The other schools they're helping through the promotion are KIPP Academy in the Bronx and their music education program (our school was only able to offer a 5th grade musical instrument program with the help of PTA donations), and Playworks NYC which is adding playground equipment at this Harlem school which has no P.E. equipment. · For every transaction using this link, Schoola will donate $1 to one of these schools. · For every person who requests a Schoola donation bag via this link, Schoola will donate $1 as well. It's free to request a bag. I just requested mine. Donating: Sign up on the site and request a bag - no cost. With it you can send your kids' gently used clothing for free (Schoola pays shipping). When it sells, your designated school (you'll pick online and your school doesn't have to register - it's likely already there through Schoola's automatic system) gets 40% of the sales price. They need to reach $20 to get a check. Schoola makes it easy for your school to get started by generating a share link and text on the site, by just clicking on the "share" button for your school. 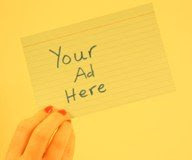 You can share on Twitter and Facebook directly from the site, or copy/paste the link to use directly. It also tells you how much your school has earned so far. You don't have to donate clothes to help schools. You can buy heavily discounted name brand kids' clothes on the site and 40% goes back to the school designated for that item's donation. There were tens of thousands of items posted when I checked just now. You shop by age and gender. Shipping is free over $50 in purchases. Otherwise it's $4.99 for the first item, and .99 cents for each item after that. So that's it. Request a bag. Start shopping. And if you think this is a good program for your school, start sharing your school's link. Get 20% off your purchase by using the code BacktoSchoola20 through August 20th. The code will only work one time.